Este texto não substitui o publicado no D.O.U. de 24.9.1996. Article 1 - Persons capable of entering into contracts will be able to avail themselves of arbitration in order to resolve disputes relating to freely transferable property rights. Article 2 - Arbitration may be in law or ex aequo et bono , depending on the will of the parties. § 1 - The parties may freely choose the rules of law to be applied in arbitration, as long as there is no violation of good customs and public order. § 2 - The parties may also stipulate that the arbitration be based on the general principles of law, customs and usages and the rules of international trade. Article 4 - An arbitration clause is an agreement by which the parties to a contract undertake to submit to arbitration the disputes which may arise with respect to that contract. § 1 - The arbitration clause shall be in writing and it can be inserted in the main contract or in a document to which it refers. § 2 - In adhesion contracts, the arbitration clause shall not be deemed to have efficacy unless the adherent takes the initiative to initiate arbitration proceedings or agrees expressly to its initiation as long as it is in writing or in an attached document or in bold, with a signature or endorsement made specially for this clause. Article 5 - When the arbitration clause makes reference to the rules of a particular arbitral institution or specialised entity, the arbitration shall be instituted and conducted in accordance with such rules, unless otherwise agreed by the parties. Article 6 - In the event of absence of provision as to the method of initiating the arbitration, the interested party shall serve the other party with a written notice by registered letter or by any other means which provides a record of delivery, calling for the other party to appear at a set date, time and place in order to sign the compromis . Sole Paragraph : Where the party to whom notice is served fails to appear or refuses to sign the compromis , the other party can, pursuant to article 7 of this law, seek assistance from the Judicial Court which originally would have had jurisdiction to hear the case. Article 7 - Where there is an arbitration clause but one of the parties shows resistance as to the initiation of arbitration, the interested party may request a subpoena for the other party to appear in court in order to prepare the compromis , with the judge designating a special hearing for such a purpose. § 1 - The claimant shall indicate precisely the object of the arbitration, including the document which contains the arbitration clause. § 2 - The judge, previously to the signature of the compromis , shall try to bring the parties into a settlement. Failing such agreement, the judge shall lead the parties to approve, by mutual agreement, the compromis . § 3 - When the parties fail to agree as to the terms of the compromis , the judge, after hearing the defendant at the same hearing or within 10 days therefrom and pursuant to articles 10 and 21 § 2º of this law, subject to the provisions of the arbitration clause, shall decide the issue. § 4 - If the arbitration clause has no provision as to the appointment of arbitrators, it will be the judge´s task, after having heard the parties, to rule with respect to this, having the option of nominating a sole arbitrator for the resolution of the conflict. § 5 - Should the claimant, without reasonable excuse, fails to appear at the hearing to determine the preparation of the compromis , the proceedings shall be deemed to have been terminated without entering into the merits. § 6 - Should the defendant fails to appear, it will be up to the judge, having heard the claimant, to rule with respect to the content of the compromis , nominating a sole arbitrator. § 7 - The judge's decision shall be deemed to be the compromis itself. Article 8 - An arbitration clause which forms part of a contract shall be treated as an agreement independent of the other terms of the contract. A decision that the contract is null and void shall not entail ipso jure the invalidity of the arbitration clause. Sole paragraph - It shall be up to the arbitrator to decide on its own motion or per request of the parties, the issues concerning the existence, validity and efficacy of the arbitration agreement and of the contract which contains the arbitration clause. Article 9 - The compromis is the convention by which the parties submit an existing dispute to arbitration by one or more persons, either judicially or extra-judicially. § 1 - The judicial compromis shall be held on the file before the court or tribunal where the suit is pending. § 2 - The extra-judicial compromis will be deliberated under private signature, signed by two witnesses or by a public notary. IV - the place where the award shall be rendered. VI - the setting of the fee of the arbitrator or arbitrators. Sole paragraph - If the arbitrators' fees are mentioned in the compromis , this will be interpreted of being enforced as such. In the absence of such provision, the arbitrator will request the state judge who would originally have jurisdiction to hear the case, to fix them by way of judgement. III - should the time period referred to in article 11 (III) expires as long as the interested party has notified the arbitrator - or the chairman of the arbitral tribunal - giving him a 10 day-notice for rendering and presenting the award. Article 13 - Any person of legal capacity who enjoys the confidence of the parties may be appointed as arbitrator. § 1 - The arbitral tribunal shall be composed of an uneven number of arbitrators. The parties are free to appoint substitute arbitrators. § 2 - When the parties have agreed on an even number of arbitrators, the arbitrators are deemed to be entitled to appoint an additional arbitrator. Failing such agreement, the parties shall apply to the court which originally would have heard the case in order to have the arbitrator´s nomination, being applicable, where pertinent, the provisions of article 7 of this law. § 3 - The arbitrator(s) shall be appointed by any method agreed by the parties or through the rules of the arbitral institutional or specialised entity chosen by them. § 4 - Once several arbitrators have been appointed they shall elect, by majority, the chairman of the arbitral tribunal. Should there be no consensus, the eldest shall be designated the chairman. § 5 - The arbitrator or the chairman of the arbitral tribunal may designate a secretary who may be one of the arbitrators. § 6 - In the performance of his duty, the arbitrator shall proceed diligently, efficiently, independently and shall be free and remain free from bias. § 7 - The arbitrator or the arbitral tribunal may order the parties to advance the funds for expenses and services deemed necessary. Article 14 - Persons are disqualified from serving as arbitrators should they have with one of the parties or with the subject-matter of the arbitration any relationship falling into the cases of being disqualified as a state judge and, where applicable, they should be held up to the same duties and responsibilities as are set forth in the Code of Civil Procedure. § 1 - A person appointed to serve as arbitrator, before accepting the case, shall disclose any circumstances likely to give rise to justifiable doubts as to his impartiality or independence. II - the reason for the challenge was known after the arbitrator´s appointment. Article 15 - The party who intends to challenge the arbitrator shall, pursuant to article 20, file the respective plea directly to the arbitrator or the chairman of the arbitral tribunal, setting forth his reasons and presenting pertinent evidence. Sole paragraph - When the challenge is accepted, the suspect or disqualified arbitrator shall be removed and shall be replaced in the manner set forth in article 16 of this law. Article 16 - If the arbitrator should excuse himself before accepting the nomination, or after the nomination he dies, becomes unable to carry out his duties or is removed, the substitute indicated in the compromis , if there is one, shall serve as substitute. § 1 - In the case that there is no substitute indicated for the arbitrator, the provisions of the rules of the arbitral institution or specialised entity shall apply, if the parties have invoked them in the arbitration agreement. § 2 - In the absence of any provision in the arbitration agreement and the parties fail to reach an agreement as to the appointment of the substitute arbitrator, the interested party shall proceed in the manner set forth in article 7 of this law, save when the parties have expressly stated in the arbitration agreement that they will not accept a substitute arbitrator. Article 17 - The arbitrators, when in the exercise of their duties, or in support of these, shall be considered comparable to public officials for the purpose of criminal legislation. Article 18 - The arbitrator acts as judge of fact and law and the award rendered is not subject to judicial review, appeal or ratification. Article 19 - The arbitration shall be deemed to be initiated when the nomination is accepted by the arbitrator, in the case that there is only one, or by all, if there are several. 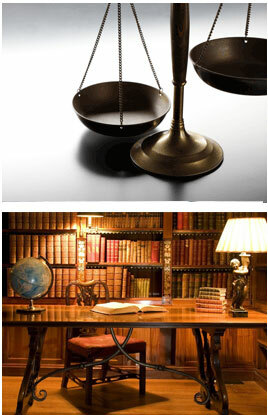 Sole paragraph - Once the arbitration is initiated and should the arbitrator or the arbitral tribunal feel that there is the need to clarify some issues presented in the arbitration agreement, an addendum shall be formed, in conjunction with the parties and signed by all, which will then be a part of the arbitration agreement. Article 20 - The party which intends to argue questions related to competence, suspicion or disqualification of the arbitrator or arbitrators, as well as the nullity, invalidity or inefficacy of the arbitration agreement, must do so at the first opportunity, after the initiation of the arbitration. § 1 - When the challenge is accepted the arbitrator shall be substituted under the terms of article 16 of this law; once is declared that the arbitrator does not have jurisdiction or when is recognised the nullity, invalidity or inefficacy of the arbitration agreement, the parties shall be sent to the competent judicial body to rule on the matter. § 2 - When the arguments are not accepted, the arbitration shall proceed normally, subject however to review of that decision by the competent judicial body, at the time a petition for setting aside the award is filed, as provided by article 33 of this law. Article 21 - The parties are free to agree on the procedure to be followed by the arbitral tribunal in conducting the proceedings which may follow the rules of an arbitral institution centre or specialised entity, still permitting the parties to delegate to the arbitrator himself or the arbitral tribunal the power to regulate the proceedings. § 1 - Failing such agreement, the arbitral tribunal shall conduct the arbitration in such a manner it considers appropriate. § 2 - During the arbitration proceedings, there shall always be respect for the principles due process of law, equality of the parties, impartiality of the arbitrator and that of his judicial discretion. § 3 - The parties are free to postulate before the arbitral tribunal in person or by way of an attorney and the right to designate who shall represent or assist them in the arbitral proceedings shall always be respected. § 4 - It shall be up to the arbitrator and the arbitral tribunal, at the commencement of the proceedings, to attempt the reconciliation of the parties, applying, where pertinent, article 28 of this law. Article 22 - The arbitrator or the arbitral tribunal, at the request of the parties or on its own motion, may take depositions of the parties, hear witnesses, determine the carrying out of expert examinations and any other evidence it may deem appropriate. § 1 - The deposition of the parties and of the witnesses shall be taken at the time, place and date previously communicated in writing, and shall be reduced to a written transcript, signed by the deponent or at his request, and by the arbitrators. § 2 - In case of absence without just cause from the personal deposition session the arbitrator or the arbitral tribunal shall take into consideration the behaviour of the party at fault on rendering its award; if the absence is on the part of a witness, the arbitrator or the arbitral tribunal may, under the same circumstances, with proof of the existence of the arbitration agreement, request a judiciary authority to subpoena the reluctant witness. § 3 - Default by a party shall not prevent the arbitral award from being made. § 4 - Subject to paragraph 2, the arbitrators may request to the judicial body that would have originally been competent to hear the case, to grant interim measures of protection. § 5 - If, during the course of the arbitral proceedings, an arbitrator is replaced, the repetition of evidence already presented will be at the discretion of the substitute. Article 23 - The award shall be made during the time frame stipulated by the parties. If no agreement is stated, the time period for the rendering of the award shall be six months beginning with the commencement of the arbitration or the substitution of the arbitrator. Sole paragraph - The parties and the arbitrator or the arbitrators, by mutual agreement, may extend the stipulated time period. Article 24 - The award shall be expressed in a written document. § 1 - When there are several arbitrators, the decision shall be by majority of vote. Should there be no majority agreement, the vote of the chairman of the arbitral tribunal shall prevail. § 2 - The arbitrator who dissents from the majority may, if he so wishes, state his vote separately. Article 25 - If during the course of the proceedings, a controversy arises regarding rights not freely transferable and once is verified that the award shall depend on whether they exist, the arbitrator or the arbitral tribunal shall stay the proceedings and shall send the parties to the competent authority of the judiciary branch. Sole paragraph - Once the prejudicial question is resolved and the judgement is placed on the record, the arbitration will continue normally. IV - date and place where it was rendered. Sole paragraph - The arbitral award shall be signed by the arbitrator or all arbitrators. It shall fall on the chairman of the arbitral tribunal, if one or more arbitrators cannot or do not wish to sign the award, to certify this fact. Article 27 - The arbitral award shall decide the responsibility of the parties regarding costs and expenses for the arbitration, as well as fees due to bad-faith conduct, if this be the case, following the provisions of the arbitration agreement, if existent. Article 28 - If during the course of arbitral proceedings, the parties arrive at an agreement about their dispute, the arbitrator or arbitral tribunal may, at the requested of the parties, state such a fact by means of the arbitral award, which shall comply with the requirements of article 26 of this law. Article 29 - The rendering of the arbitral award marks the end of the arbitration; the arbitrator or the chairman of the arbitral tribunal must send a copy of the decision to the parties by mail or other means of communication, with a certificate of receipt, or if delivered personally, with an actual receipt. II - clarify any obscurity, doubt or contradiction in the award or to pronounce it regarding any omitted point that should have been dealt with in the decision. Sole paragraph - The arbitrator or the arbitral tribunal shall decide within 10 days, amending the arbitral award and notifying the parties pursuant to article 29. Article 31 - The arbitral award shall produce as to the parties and their successors, the same effects as a judgement rendered by the court and, should it be condemnatory, it will constitute a valid document to commence an execution process. VIII - the principles covered by article 21, paragraph 2 of this law are not respected. Article 33 - The interested party may plead t the competent judiciary body that the arbitral award be declared null, according to the cases foreseen in this law. § 1 - The claim for nullity shall follow the requirements provided by the Code of Civil Procedure and shall be filed within ninety days after the receipt of the notification of the award or of its amendment. II - shall determine that the arbitrator or the arbitral tribunal shall render another award, in all other cases. § 3 - The ruling of the nullity of the arbitral award may also be challenged by way of an action to stay the execution on the part of the debtor, according to article 741 and subsequents of the Code of Civil Procedure, if there is a judicial writ of execution on the judgement thereon. Article 34 - A foreign award shall be recognised and enforced in Brazil in accordance with the international treaties with validity in the internal legal system and, in the absence of that, strictly according to the terms of this law. Sole paragraph - A foreign award is considered to be one which has been rendered outside of the national territory. Article 35 - To be recognised or enforced in Brazil, the foreign award is only subject to ratification ("homologation") by the Federal Supreme Court. Article 36 - That which is set forth in articles 483 and 484 of the Code Civil Procedure shall be applied to the homologation of foreign arbitration judgements, where pertinent. II - the original arbitration agreement or a duly certified copy, accompanied by an official translation. VI - the arbitral award has not yet become binding on the parties or has been set aside or suspended by a court of the country where the arbitral award was rendered. II - the recognition or enforcement of the award would be contrary to the national public policy. Sole paragraph - The effective citation of a party whose domicile is in Brazil, within the framework of the arbitration agreement or of the procedural law of the country where the arbitration was held, shall not be considered an offence against national public policy, including the admittance of a postal citation with unequivocal proof of receipt, as long as it assures the Brazilian party reasonable time to exercise its right of defence. Article 40 - The denial of homologation for recognition or enforcement of a foreign arbitral award due to formal defects does not prevent the interested party from renewing his request once the defects presented to court are cured. VII - by arbitration agreement. III - the arbitral award and the homologation decree for settlement or conciliation. Article 43 - This law will come into force sixty days after the date of its publication. Article 44 - The following articles are hereby revoked: articles 1.037 to 1048 of Law nº 3071 of January 1st, 1916, Brazilian Civil Code; articles 101 and 1072 to 1102 of Law nº 5869 of 11 January 1973, Code of Civil Procedure; and other provisions to the contrary. Brasilia, September 23, 1996; 175th of independence and 108th of the Republic. § 2º - Recusando-se qualquer das partes à negociação ou à arbitragem, é facultado aos respectivos sindicatos ajuizar dissídio coletivo, podendo a Justiça do Trabalho estabelecer normas e condições, respeitadas as disposições convencionais e legais mínimas de proteção ao trabalho. 7. CÓDIGO DE PROCESSO CIVIL, LEI N.º 5869 DE 11 DE JANEIRO DE 1973, ARTS. 267, INCISO VII; 301, INCISO IX; 584, INCISO III; E 520. 8. DECRETO N.º 1572, DE 28 DE JUNHO DE 1995. 9. DECRETO LEGISLATIVO N.º 129/95 - NEGÓCIO NO MERCOSUL; DECRETO LEGISLATIVO N.º 90 DE 1995; E DECRETO LEGISLATIVO N.º 93 DE 1995. Art. 5o Esta Lei entra em vigor após decorridos 60 (sessenta) dias de sua publicação oficial.